Ever since I was a little girl, I have been fascinated by mother nature. One thing I have always enjoyed was going to the Los Angeles Natural History Museum to check out the gemstones and minerals exhibit. I was always in such awe of the magnificent beauty that this earth can create. I was always so excited and I would get lost in the wonders of that corner of the museum. A favorite gemstone of mine is the opal, especially the black opal. I adore the variety of bright colors and how they look like a mini galaxy encrusted into a rock. Simply beautiful. Here is a rather daring look where I tried to capture the essence of this beautiful stone. The internal structure of precious opal makes it diffract light; depending on the conditions in which it formed, it can take on many colors. Precious opal ranges from clear through white, gray, red, orange, yellow, green, blue, magenta, rose, pink, slate, olive, brown, and black. Of these hues, the reds against black are the most rare, whereas white and greens are the most common. Black opals are among the rarest and is said to be some of the best examples found in Australia. Many of you have asked for me to explain how I created this effect. I will try to go into a little more detail for you guys. I basically got a teeny bit of each eyeshadow pigments and added it to their cap. I mixed each shade individually with an equal amount of Glamour Dolls Eyes Foil Me, which turns any eyeshadow into a liquid eyeliner. You can also use a mixing medium or even water. You just need to get the pigments to get to a paste-like consistency. After that, I used a small detailing brush to apply each color to my lids. I randomly placed the colors in different sized shapes in a dabbing motion. No need to be be perfect since you're trying to recreate an organic matter. 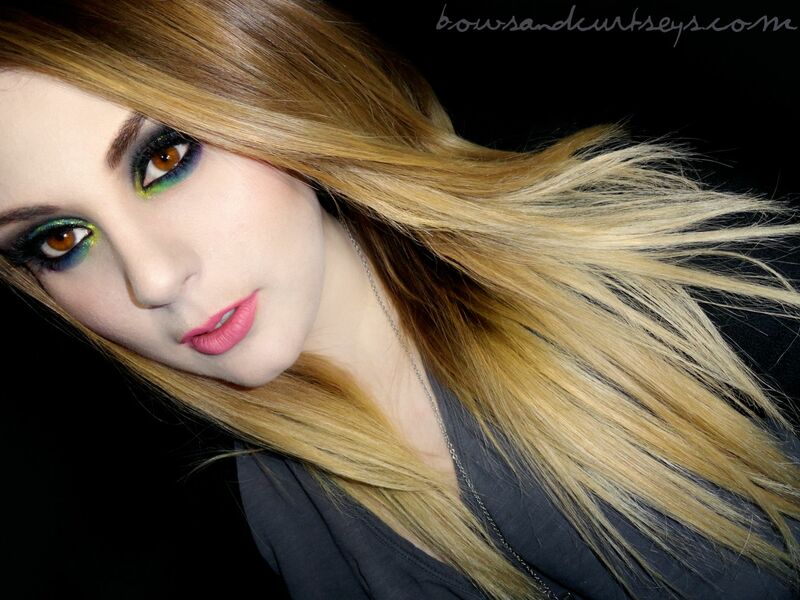 Keep adding different colors until your lids are completely covered and you get the look you desire. I hope that helps! I hope you enjoyed this artsy-fartsy look and that you are enjoying the holiday season so far! I cannot believe this year is coming to an end already. So crazy! I'm hoping I have some to create a Christmas and New Years look for you guys. Fingers crossed! Wow, this is insane! Love it! I basically got a teeny bit of each color and added it to their cap. I mixed each shade individually with an equal amount of Glamour Dolls Eyes Foil Me, which turns any eyeshadow into a liquid eyeliner. You can also use a mixing medium or even water, You just need to get the pigments to get to a paste-like consistency. After that, I used a small detailing brush to apply each color to my lids. I randomly placed the colors in different sized shapes. No need to be be perfect since you're trying to recreate an organic matter. Keep adding different colors until your lids are completely covered and you get the look you desire. I hope that helps! This is freaking amazing, and looks so great on your brown eyes!! Truly an inspiration!!! Even hint at how you did this would be great to see! gosh, how did you do that? it's just amazing! This is so beautiful. 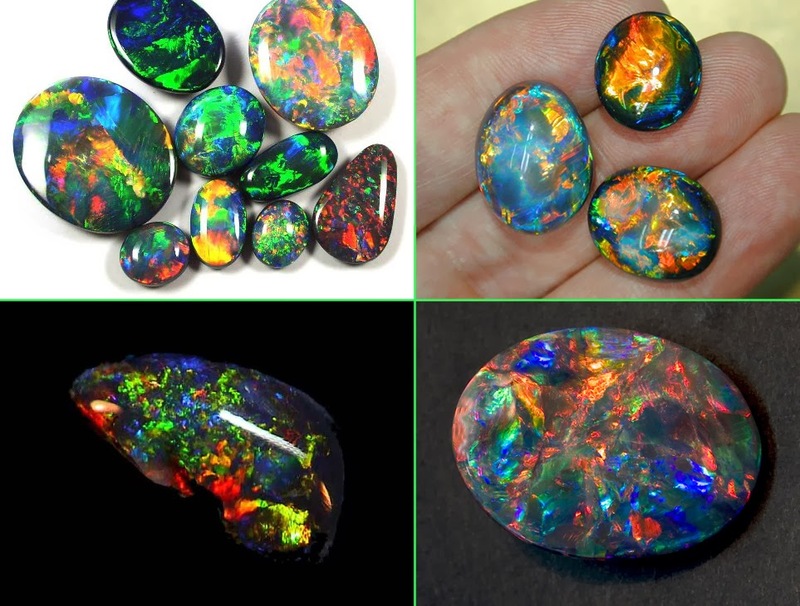 I love opals too. This is definitely one of my favorite looks, if not the favorite, that you have done! I love how this came out!!!! This is amazing! I love the opal effect. WOW! This is crazy beautiful!! Wow!!! You look stunning! Love the colors that you have used. This is unique and it really rocks!! !